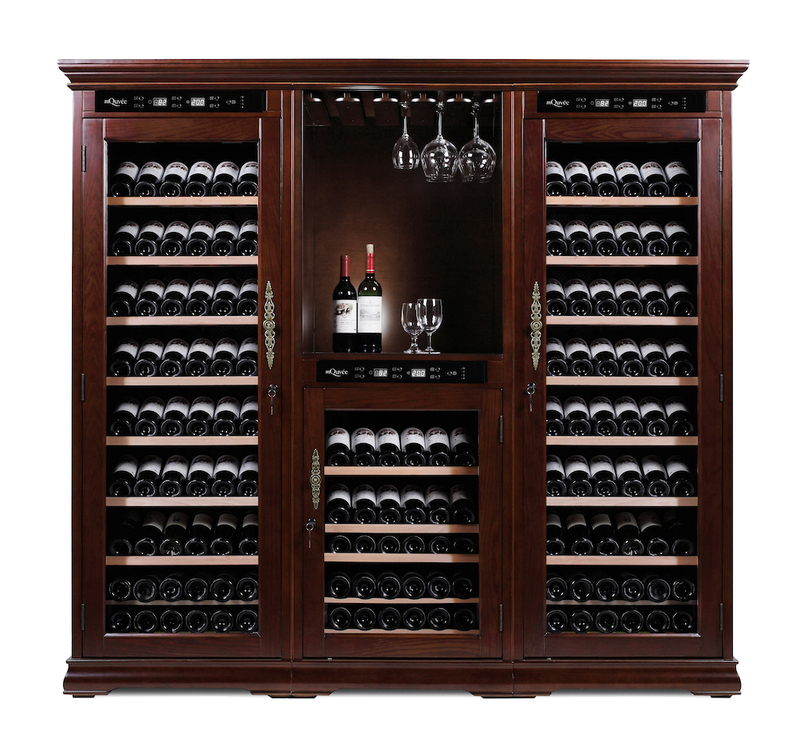 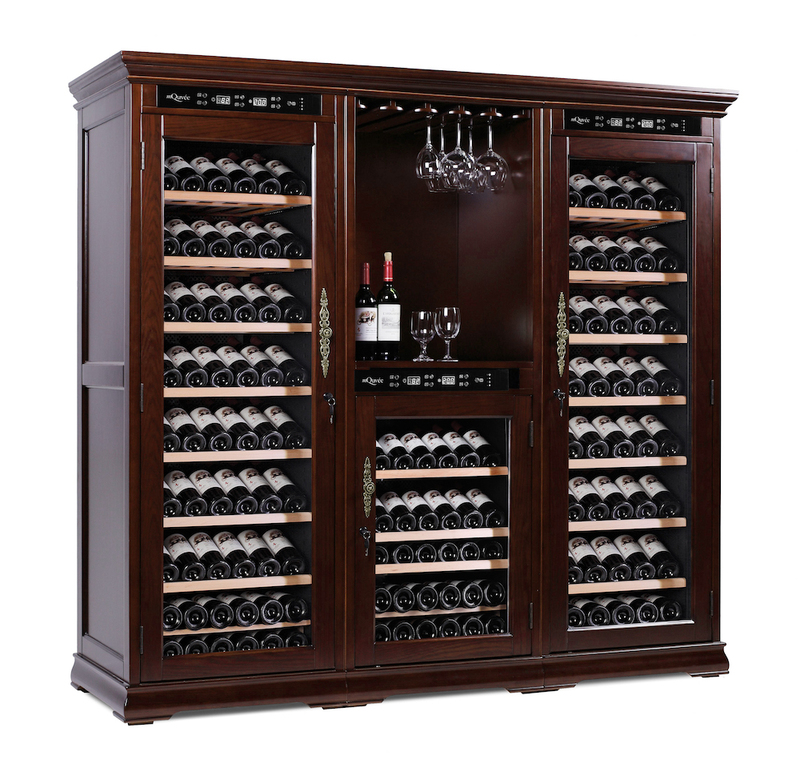 Enjoy the appearance of this massive wine storage cabinet. 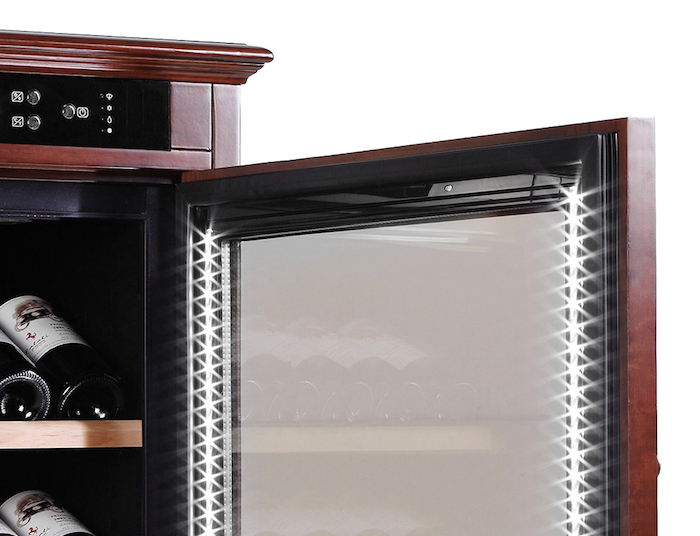 It not only creates a fantastic at-mosphere in your home, but also stores your wine to perfection! 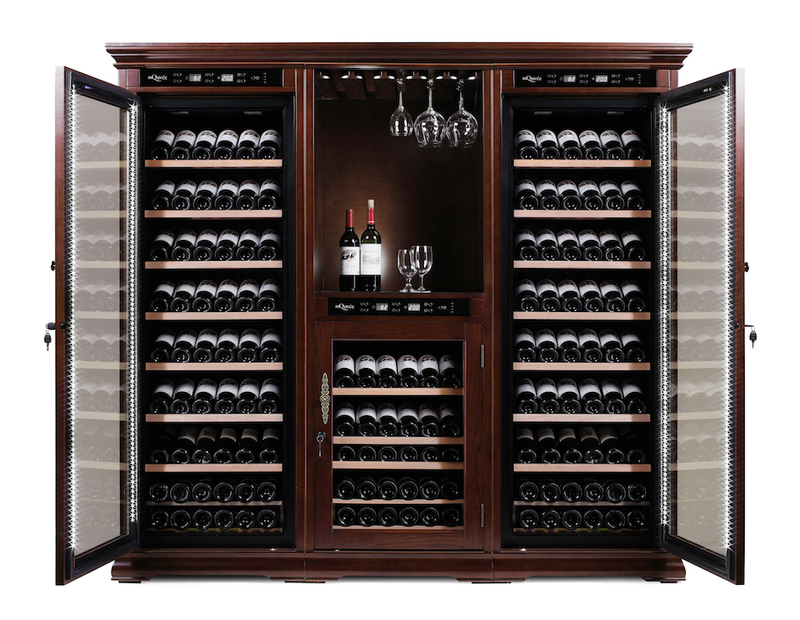 The cabinet is made of solid wood (American oak) with a maroon tint and has three different compartments where you can set three different temperatures and humidity levels. 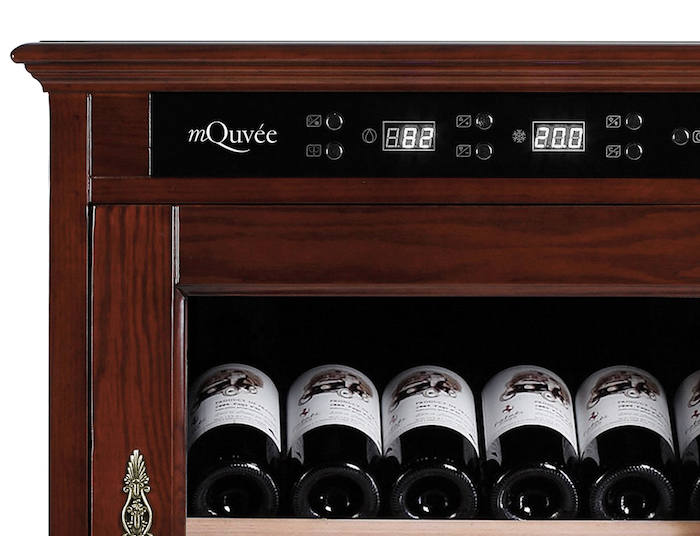 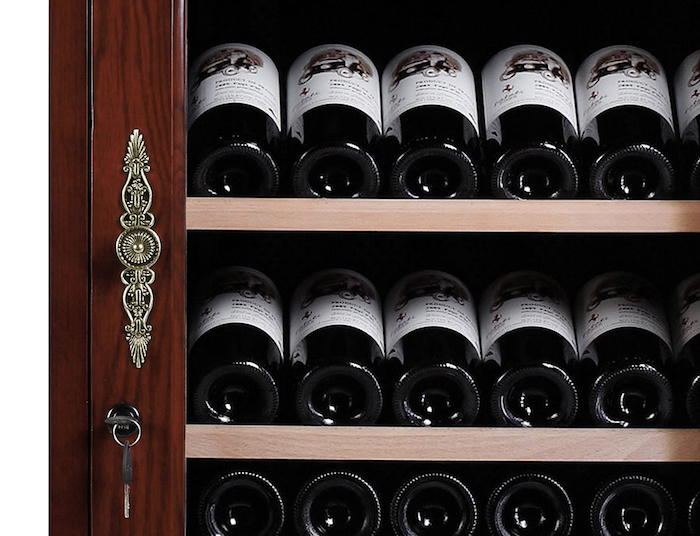 This wooden wine cabinet from mQuvée ensures that your wines will age well in secure conditions!